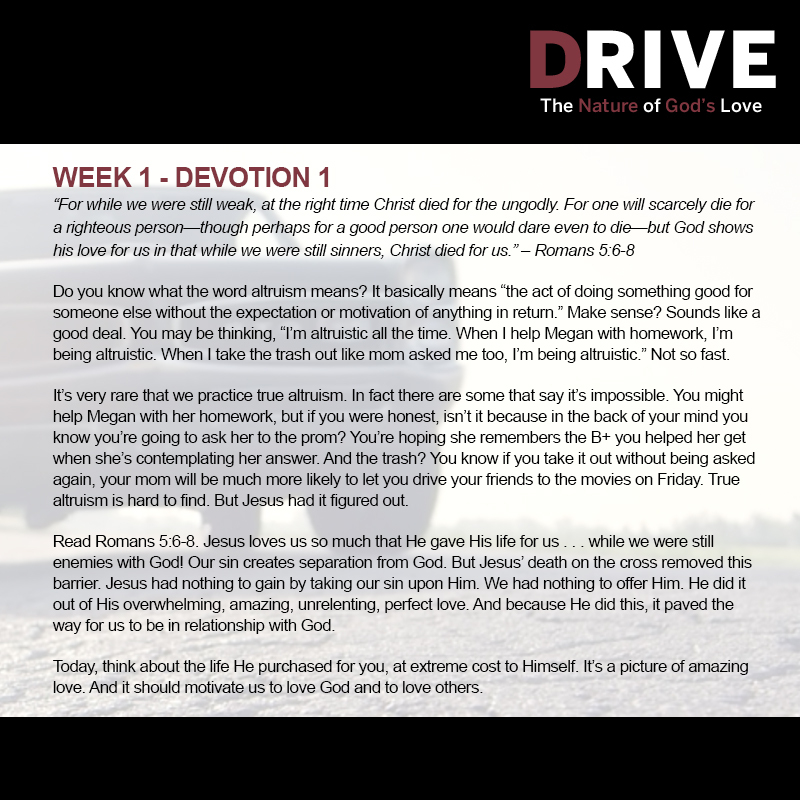 DRIVE, a 4-session, video-driven Bible study, will help your students see the relentless nature of God’s love, and how we are changed by it. The bible study is designed around a 37-minute short film, broken up into 4 sessions. God is pretty complex, and it’s impossible to boil His nature down to one characteristic. But, if it were possible, there’s one attribute that would be a front-runner: His love. God’s love is a powerful, relentless, transforming force. And the beautiful thing is that we are the objects of His love. 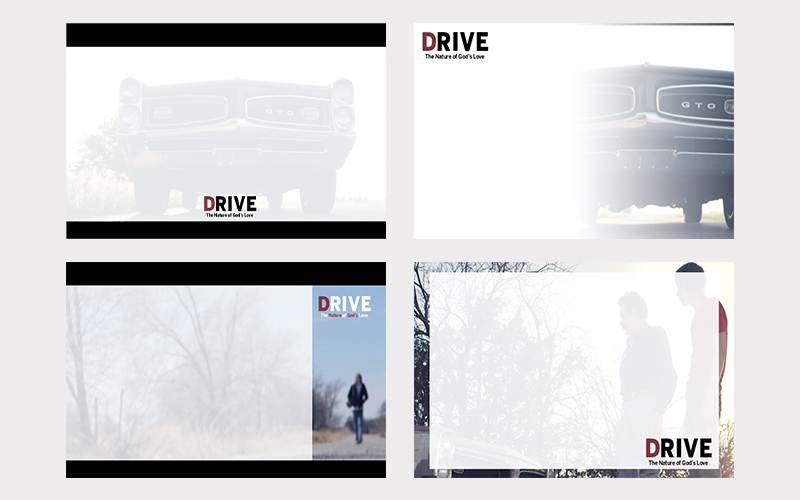 In the video-driven series, DRIVE, you and your students will be introduced to two men, one old and one young. These men find themselves in a very complicated situation, one full of regret and hardship. But what you’ll find is that there is a greater power at work, a power capable of making something new out of the disappointment of the past. 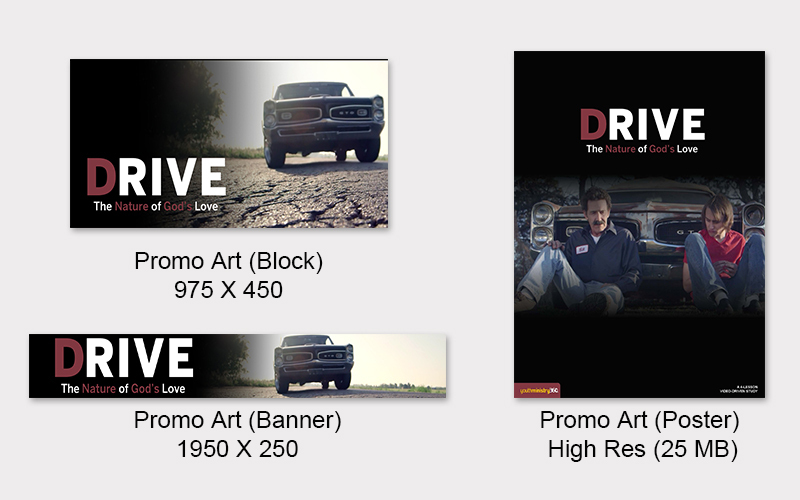 • Drive includes some incredible features; sample them all below. Download a single page look at all 4 lesson objectives and Scripture references. Get an up close look at a lesson plan. PDF and DOC included in purchased lessons. You'll get weekly devotions to post on social media, your blog, or church website ... also included are printable versions for handing out if you'd like. We provide multiple PowerPoint background images for building PPT slide shows. We include 2 web banner art files, plus a printable poster. Partnering with parents is vital. That's why each week you'll have a letter to send to parents. You'll get both PDF and DOC for each lesson!